Mid-January is devoted to celebrating “Dress Up Your Pet Day,” and all over the world, loving dog owners get into the action by putting their dog in a festive costume. Some of the most popular costumes include the duo pair of angel and devil, the ironic hot dog, and the real-life Chia pet. 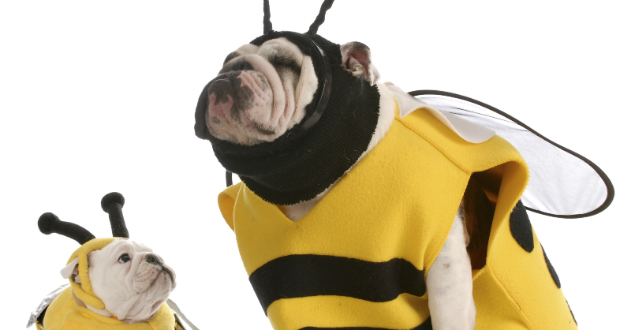 While there may be just one day to celebrate in costume, dogs shouldn’t be left behind come Halloween either. Choose a spooky costume such as a ghost, witch, or skeleton while you and your pet hit the streets for some trick-or-treating.